Antioxidants can support your body’s fight against aging and free radicals. 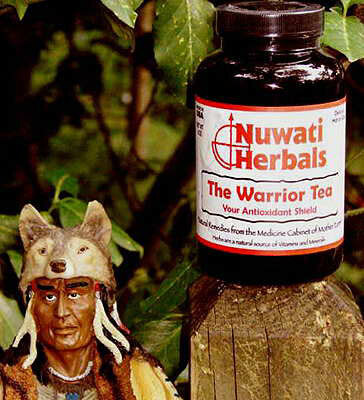 The herbs and fruits in The Warrior Tea are packed with antioxidants which promote a healthy body. 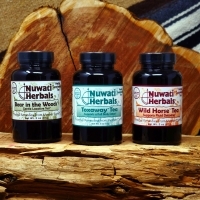 Ingredients: Green Tea Leaf, Blueberries, Chickweed, Cranberries, Goji (Lycii) Berries, Lemon Peel Granules, Mangostein, Noni Fruit, Rooibos Leaf, Bilberry Fruit, Cherries, Fo-Ti Root, Ginkgo Leaf, Orange Peel Granules, Pau d’Arco Bark, Pineapple, Tomato Flakes, Grape Seed Extract, Lime Juice Powder, Stevia Leaf, Uva Usi Leaf, Wheat Grass.